Hebrew is a beautiful language with a long, interesting history. Did you know that Hebrew was actually considered extinct as a mother tongue for centuries until it was revitalized in the late 1800s? Not many languages can make that claim. Today, it is once again a thriving language with over 9 million speakers across the globe. Find out how to learn Hebrew online and you can join the community of Hebrew speakers. People choose to study Hebrew for a variety of different reasons. Jewish people who did not grow up in Israel may use the language as a way to better connect to their roots or to communicate with relatives abroad. Hebrew is also the language of the Bible so biblical scholars, those who study religion and theology, or anyone who is just interested in the religious and cultural significance of the Bible can benefit from learning Hebrew. 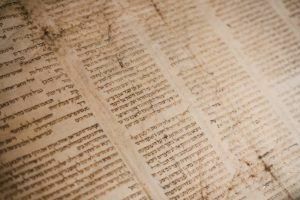 Reading a text in its original language always offers valuable insight into not only the text itself but the culture behind it, so learning Hebrew is the best way to better understand the Bible. Many linguists or others interested in languages also find Hebrew to be a fascinating language with a unique history. It was not spoken as a mother tongue or really outside of religious services for about 2,000 years. This ancient language was reconstructed and brought back to life, to the point that it is now thriving and is the main language of the country of Israel. It is honestly a truly unique story, as most languages that become extinct or fall out of use as a mother tongue stay that way. Studying the language is a good way to see how a language can be revived and brought back into use. Students who are interested in studying or researching topics related to the Middle East should also consider studying Hebrew. Many ancient texts from the area are written in Hebrew, not just the Bible, so having a knowledge of Hebrew, be it Modern or Biblical, is a good way to assist in studying the area and its history. Even if none of those reasons apply to you, Hebrew is just a fun language to study. Learning a new alphabet can be a challenge but many find learning Hebrew to be fast-paced. It has a very systematic grammar and once you get down the rules and the three-letter roots, everything really slips into place. Hebrew isn’t offered at nearly every university in the United States, as languages like Spanish and French are. You may also find it difficult to find a language school or private tutor, depending on where you are, or you may find that the only schools available are for children. Whatever the reason for being unable to take a course in person, you don’t need to worry about not being able to learn Hebrew. You have options available online. A highly reputable site to learn Hebrew online is the Israel Institute of Biblical Studies. This institute is partnered with the Hebrew University of Jerusalem and all their classical language courses are also accredited through the university. This means if you study Hebrew online through their site you will get real university credits that will be accepted at colleges and universities all over the world. The Israel Institute of Biblical Studies was founded in order to share the knowledge of biblical languages with people all around the world. The courses are taught by professionals from Israel who have first-hand knowledge of the languages and other subjects offered on their website. These courses aren’t just aimed at Jewish people or religious people in general but at anyone who wants to study biblical texts in their original languages. Even if you aren’t wanting to study biblical texts, the subject matter that is gone over in the language courses is much the same as you could expect in any language class and you will be able to learn to speak, read, and write the languages you study. Languages offered include Biblical Hebrew, Modern Hebrew, Biblical Greek, Biblical Aramaic, and Yiddish. If you’ve taken online courses before, you may find this site a little different than what you’ve experienced. Most courses do run on a schedule, the same way university courses do. You’ll have a definitive start date and an end date. You’ll also have scheduled live video lessons. In these lessons, you’ll be able to interact with the professor and your fellow students through the use of webcams and microphones. This is extremely helpful when learning Hebrew because you’ll be able to actually use the language and practice your listening and speaking skills. Many online language courses don’t offer that same kind of experience. If you miss a class or need to review the content covered, all live sessions are recorded and posted for your use. Classes also have assignments, typically voluntary and optional, to help you and the professor see how well you’re learning. Additional content is available for your perusal, as well as forums where you can speak with other students and the professors outside of the scheduled practice sessions. If you are someone who has never taken Hebrew at all, you obviously want to start with Modern Hebrew- Beginner. This course is taught using a “Hebrew in Hebrew” method, the same one used to teach Hebrew to immigrants in Israel. The course lasts 9 months and runs for about 2 hours per week. You’ll begin with the very basics: how to introduce yourself in Hebrew. The first unit also includes learning the first six letters of the Aleph Bet, or Hebrew alphabet. You’ll continue on to learn some basic conversation skills, such as talking about where you live. You will also learn about aspects of Hebrew grammar such as word gender, personal pronouns, and the verb system. You’ll learn numbers, how to tell time, and how to politely order coffee. By the end of the course, you should have a pretty good vocabulary and be able to take part in basic conversations about yourself and the world around you. Modern Hebrew Improved is the next course you’ll take on your way to becoming fluent in Hebrew. You will begin learning more complex verbs, vocabulary, and grammar, such as infinitive verbs, describing what is wrong to a doctor, discussing the weather, shopping for clothes, traveling via public transportation, pluralizing irregular nouns, and double negative expressions. You will read stories in addition to your live video sessions in order to practice the material you are learning in an engaging way. Next up is Modern Hebrew Intermediate. This one really focuses on improving both your reading and writing skills but of course, your speaking skills will also improve greatly by the end of the course. You’ll learn the past tense, verbs with active constructs, indirect speech, and the inflections of various prepositions. You’ll do this by reading letters, stories, recounts of trips, and watching Who Wants to Be a Millionaire? You will definitely notice a huge difference in your Hebrew skills by the end of this course. If you’re really in for the long haul you’ll take Modern Hebrew Advanced next. This class is focused on helping you to improve your skills by studying different texts focused on teaching you more about Israeli history and culture. You’ll learn more advanced verb forms for past, present, and future verbs. You’ll also learn advanced grammar such as attributive clauses, gerunds, conditional clauses, imperatives, more preposition inflections, and personal and impersonal clauses. Not only will your speaking be much more than conversational by the end of this course but you’ll have a firm grasp of Hebrew grammar and know a lot about Israeli culture. There are four different Expert courses once you finish the Advanced course. In these classes, you’ll take a much more active role with your learning. You will read classic Hebrew literature and poetry then discuss it at length with your classmates. You’ll go through news articles in order to keep up to date with what is going on in Israel and be able to talk about current events. Your understanding not only of Hebrew but the culture in Israel will be at a level that will make it easy to not only speak freely with other speakers of Hebrew but to enjoy literature, television, newspapers, etc. and be able to understand and discuss them. While going through the different Expert level courses you will increase your vocabulary and really nail in all the grammatical elements you’ve learned in the previous courses. It’s becoming more and more common that studying a foreign language is a requirement. Students in high school take foreign language courses, as do university students, as part of their core curriculum. Why not study a unique and exciting language like Hebrew? 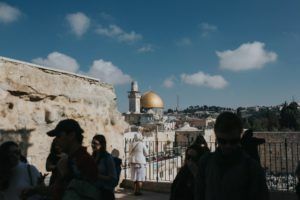 If you study with the Israel Institute of Biblical Studies, you’ll even be able to earn some college credits while you’re studying the language and learning all about the rich culture and history of Israel.